ویسے بھی نواز شریف کے طبعی موت کا وقت آ گیا ہے. 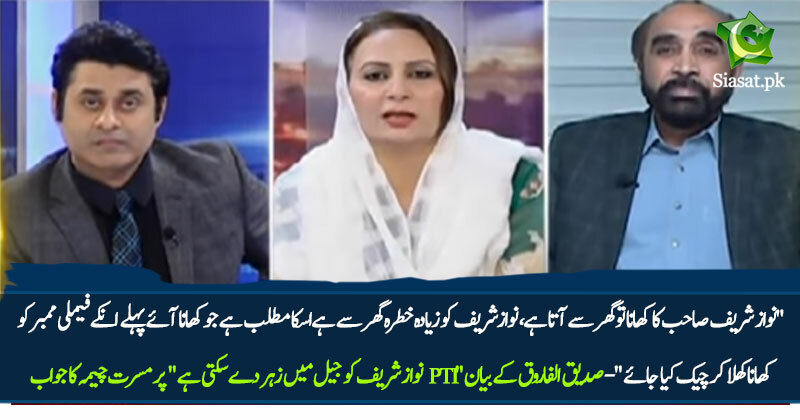 لندن بہت دیکھ لیا اس خبث نے..
Mussarat Cheema's statement should be taken very seriously, because I and probably many think the same, that with ASIF ZARDARI"Master in murdering family" they have decided to finish Nawaz and may gain some support to create havoc and support the enemies of Pakistan in slowing down the process of development. We as public DEMAND that we should be told about daily diet of Nawaz Sharif, all details about all the meals he receives from home. What's wrong with that if he has special permission to get food from home?